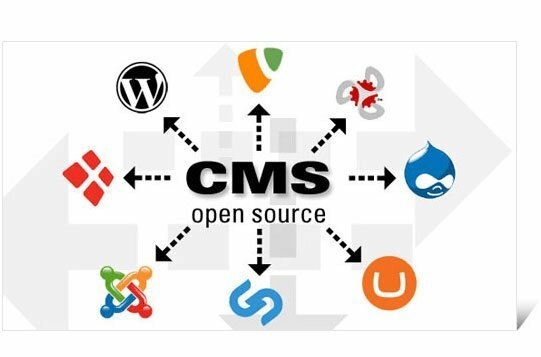 WordPress now powers approximately 30% of the web, making it the most prominent content management system software of the present day. 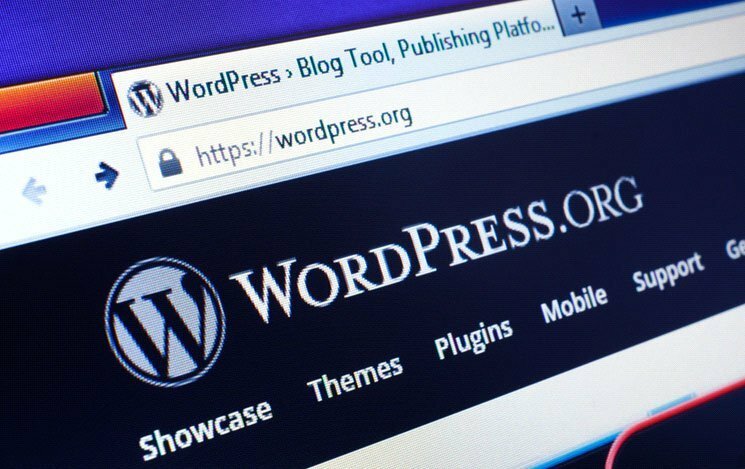 Many prominent personalities and brands have grown to trust it, as WordPress has proved to be capable of handling everything from high-traffic magazine publications to large enterprise sites. Almost all websites are able to use WordPress due to its adaptiveness and flexibility. From multinational businesses to famous celebrities, there’s hardly any sector that hasn’t been touched by WordPress. Nevertheless, some people still doubt if WordPress is secure, versatile and scalable, as it is an open source stage. The truth is that in reality, famous brands would not run several of their sites on this platform if it wasn’t capable and trustworthy. Big brands love WordPress because it’s easy to use,scalable and absolutely free. Also, the process of launching your website on WordPress is fast and doesn’t adversely affect your data. It’s mobile friendly and 100% responsive; furthermore, integrating it with other services (including social media) is very easy to accomplish. Bloomberg Professional is a website where you can find expert knowledge and news on everything about efficient systems of business and monetary data. Bloomberg established their site courtesy of WordPress. This perfect and attractive E-commerce site set up by the clothing organisation IZOD is major proof that WordPress works brilliantly. WordPress allows small stores the opportunity to establish their websites and breathe a sigh of relief when requests start pouring in, because they know they can rely on WordPress. Angry Birds uses WordPress to run their social promotions. This is existing proof that integrating WordPress with other services is a smooth and easy process. Angry Birds remains a prevalent video game franchise. A discussion about innovation cannot end without TechCrunch being mentioned. TechCrunch is a first class resource for ‘nerd-culture’, media and tech on the web. It is one of the largest innovation distributors in the world that attracts heavy web traffic every day. The organisation relies on WordPress to guarantee speedy site loads. Katy Perry is a name that resonates with many music lovers these days and her essential web presence occupies the WordPress stage. On her site, you can access news, photos and purchase tickets or souvenirs, amongst other items. Usain Bolt – the fastest man on earth – is also using WordPress. He shares appearances, news and other media using a custom ‘Bolt’ theme. Who doesn’t know about this world famous entertainment provider and mass media conglomerate? Walt Disney’s versatility compromises business segments like stops, media systems, studio stimulation and so on. The global corporate site for Mercedes Benz is hosted on WordPress. You can glean a range of information, such as restrictive reports and many other snippets about Mercedes-Benz on this site. This site highlights culture, news, science and technology, books and fiction, business and many more items of note and is controlled by WordPress. Wonkette has been on WordPress from its inception. It is a web journal about political developments that relies on WordPress’s durable CMS. Quartz shares the most current news for the global economy. The website is premised on WordPress structure and has a basic WordPress design. Time is an online journal that existed long before the establishment of WordPress. As the organisation progressed along side modern technology, it duly switched over to WordPress. BBC America is a website where you can find the most reliable news about recent events. It was established using WordPress. New York Post is another massive distribution in WordPress, publishing recent reports on sports, news and business to name but a few. Sony Music Entertainment highlights notable artful accomplishments. Its official site is hosted on WordPress and its design is very appealing. This site highlights the trending news in Canada and any other stories of note. It brings innovation, news, sports, travel and much more to its army of followers. Canada.com relies on WordPress CMS to do this. This is the channel behind Breaking Bad, one of the greatest TV series of recent times. 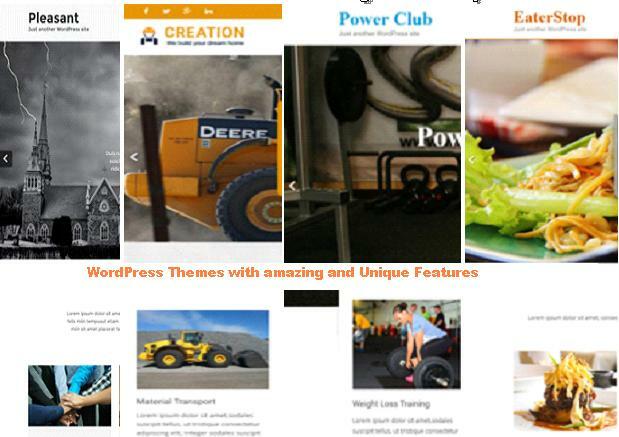 WordPress powers their main website and homepage. The administration of Donald Trump switched the Content Management System of whitehouse.gov from Drupal to WordPress. Drupal was used to power the site during the Obama administration. WordPress powers the website of The Rolling Stones, a hugely popular rock band. This site covers their tour dates and news, amongst other items. This site keeps worldwide fans up to date about upcoming/current promotions, behind the scenes features and many other things about one of the most notorious agents in the world. Harvard powers its blog section using WordPress. Anyone that has a Harvard email address can create their own blog on this particular section. University of Washington is another educational body that powers its website using WordPress. It has an active student body of over 46,000. Mozilla created the well-known Firefox web browser. It powers the official Mozilla Blog through WordPress. Microsoft uses WordPress to power both their official Skype Blog and official Microsoft blog. Creative Commons is a non-profit platform, where people can share their works and enjoy transparent licensing. 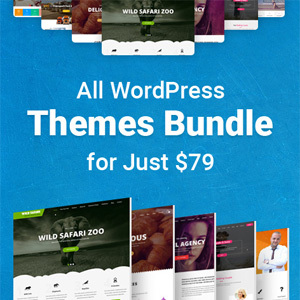 The site is powered by WordPress. The number of page views that CNN pulls in every single day is astounding. WordPress is scalable, which is why CNN remains trouble-free. Currently, all the web content that Time Magazine creates is now on WordPress. Vogue is a prominent name in the world of fashion. Their site is built on WordPress and is very mobile friendly. There’s no newsstand on which you won’t find People Magazine. Their supercharged site is built on WordPress, making it easier to access their latest celebrity gossip and news. The list of popular brands using WordPress goes on and on: TED blog, Web Designer Depot, Justin Bieber, Facebook Newsroom, Sylvester Stallone to name but a few more. You can join this ever growing list too and enjoy a spectacular online experience. When building your website, the issue of hosting and server management doesn’t have to be a problem. Some of these businesses use Umbrellar Cloud to ensure that their online business is well taken care of.